Cartel De Santa - "Mexico Lindo y Bandido"
How do you go about recording, promoting and releasing your music? Well, I record myself in a home studio I purchased back when i was 21. I learned how to mix and master by collecting tips here and there and applying them when needed, as far as promoting I got the usual myspace, facebook, etc.... But the best is word of mouth, getting people to hear what you got, get people talking about you, also getting a publicists, whatever it takes cuz whats the point on releasing music if theres no demand, I mean I'm releasing this album independently, sure i got some prospects in the works for distribution, but the first 1000 are gonna be done by me for Los Angeles. If you received $100,000 dollars tomorrow, that you had to use on your music, how would you use it? Putting out my album would be first, lol. I would invest on something that would benefit in the long run....use the money for studio upgrades, helping other dope emcees put product out who are less fortunate, throw some doe for collabs, go on tour and use some money for merchandise....(t-shirts, etc...) Anything that will prolong the life of the music that's within me.....I know it sounds corny but its true. Where do you see the music industry 5 years from now? I'm scared to even think about that, I mean I'm such a fan of technology but now a days it taking all the creativity out of music, I mean come on, how long till there's a plug-in that makes you rap better or makes you sing like a god with no talent whatsoever, oh I forgot there's already that..lol! As for the question, I only hope I'm wrong, but it seems it's going in a downword spiral. I just got my solo LP done....."Out the Ash Tray of LA", featuring; Planet Asia, Outerspace, Reef Tha Lost Cauze, Copywrite, Writersblock, etc.... but I stay working, cuz it's always about music, I got the next Non Flaco Album (one group I'm in), the next RTD Album (another group I'm in), an album with my boys the Hitfarmers out in Germany, and another project with my boy Eternel from Planet X... All hopefully dropping this year. What is the best place for people to find out more about you? 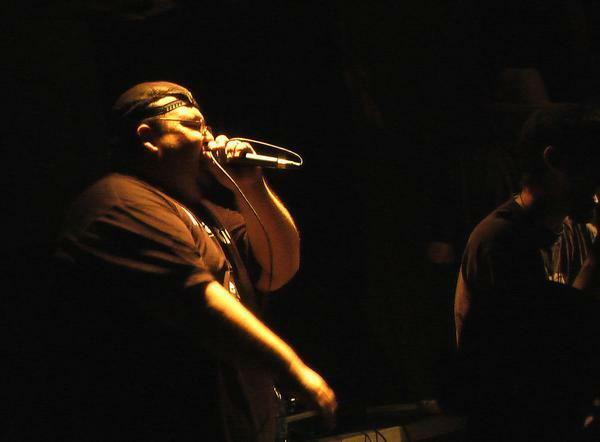 I got Some links for my EPK where you can hear all about me and what my albums about, you can also go to www.myspace.com/chubbiecox, www.facebook.com/Chubbiecox, and www.latinabeatz.com. Also, peep the trailer; it will let you know what's coming on the album. 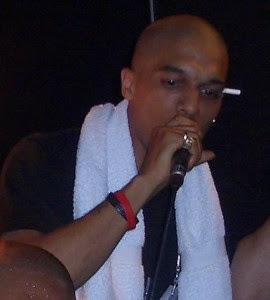 DJ Bitman - "El Diablo"
Metanfetarrima - "Perros De La Filosofia"
Judiny - "Quien Mato El Hip-Hop Dominicano"
Judiny - Quien Mato El Hip Hop Dominicano? (Official Video) from Johnny ROSE on Vimeo. And a making of the video! I just read a great ebook entitled Musician 2.0, 3.0, 4.0 by Peter Spellman. I found this book through Media Futurist, Gerd Leonhard's website , and you can read it yourself here. Peter Spellman is a teacher at the Berklee School of Music and runs Music Business Solutions an organization that is focused on helping musicians advance their careers. Crooked Stilo - "Mis Colegiales"
Today I had the opportunity of having a phone interview with none other than super producer Domingo. He dropped knowledge on how he makes his beats, how to contact if you are interested in collaborating, his upcoming projects, the future of the music industry and some advice for upcoming artist's. Domingo - Interview with LatinoHiphop.Org from LatinoHipHop.TV on Vimeo. The Beatnuts - "Watch Out Now"
3 Dueños - "Muerete Que Chao"
Duke University - "Reimagining Latino Hip-Hop in the 21st Century"
How does Hip Hop speak to the day-to-day existence of Latinos in the present age of multiculturalism, globalization, and Obama? How might we read Hip Hop in different ways now, examining how it also dislocates and recalibrates Latinidad? As older and newer generations of U.S. Latinos together redefine the stakes of political action, they elucidate the margins, borders, and crossroads that U.S. Latinos inhabit. These "interstitial spaces" leave room for broader notions of Latino identities, incorporating those “others” who are also always dislocated and "out of place." This one-day workshop will engage the work of activists and prominent scholars in performance and cultural studies, examining the performances of race, gender, sexuality and Latinidad within Hip Hop and the political possibilities of "dislocation." Alexandra T. Vazquez, author of the forthcoming Instrumental Migrations: The Critical Turns of Cuban Music, and co-editor of a forthcoming anthology on La Lupe (Duke University Press). Rosa Clemente: “when a black puerto rican woman ran for vice president and nobody knew her name"
Parking reserved on East Campus quad for conference attendees. Turn onto Campus Drive from Main Street and follow traffic to move straight forward, past the bus stop, to the long, oval grassy area in between buildings. Look for signs and a parking attendant. 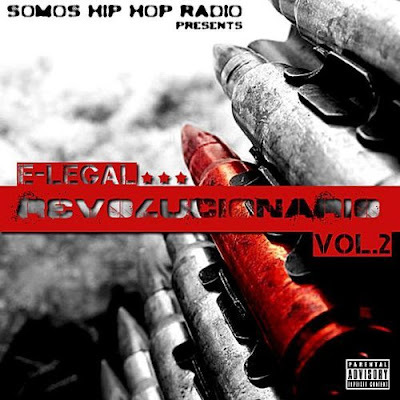 Somos Hip-Hop Radio presents "Revolucionario Vol. 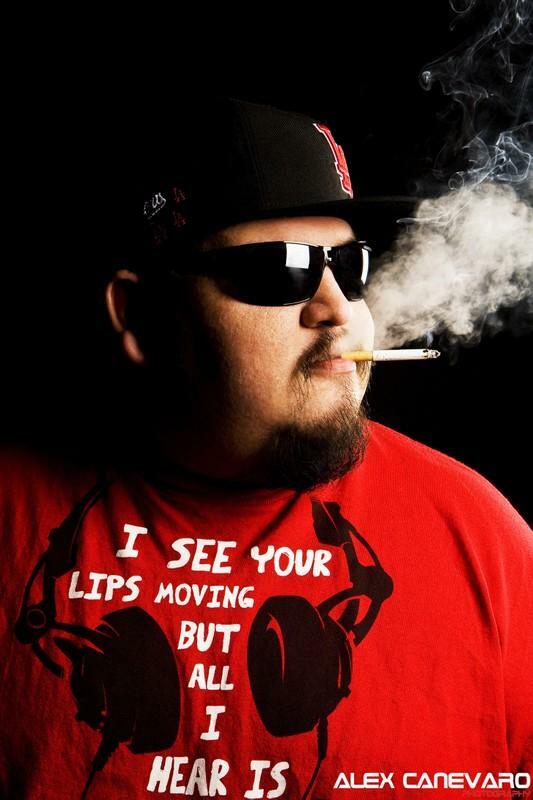 2"
Somos Hip-Hop Radio is at it again with another incredible release. On "Revolucionario Vol. 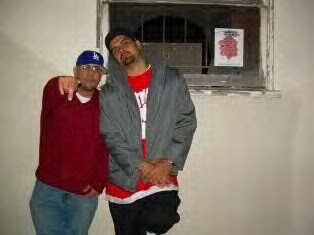 2" you will find 22 tracks of raw uncut Latino Hip-Hop. You can find your copy on Amazon.com for only $8.99 by clicking here. 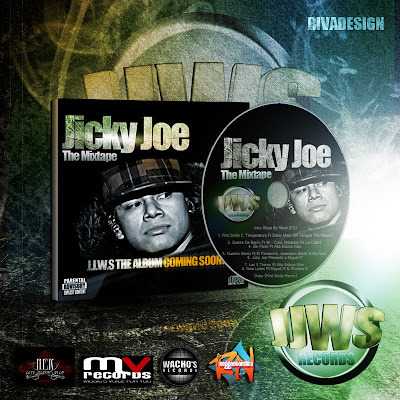 Frank T - "La Gran Obra Maestra"
Jicky Joe has been on his grizzly for years, blessing stages and honing his craft. I just listened to his new mixtape and it is loaded with bangers, be sure to download it here. Los Nandez - "La Historia del Rap"
I just discovered this website and have been finding all sorts of great oldies that were sampled in some of my favorite tracks. 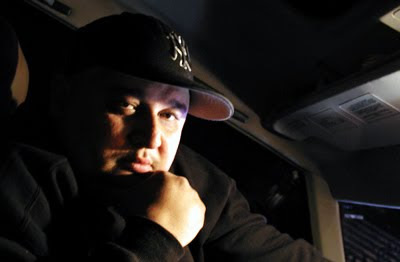 South Park Mexican - "In My Hood"
Exclusive Interview with "Twisted Region"
If there is one lesson that you can share with a young up and coming artist, what would it be? Always believe in your self, love what you do and never give up. In 5 years: it'll still be a battle between the old corporate structure and how easy it is to distribute now via internet. What exactly does a label have to offer now? They have the promotion machine that an independent artist doesn't have, but what does an independent artist have to commit to in order to get that? Before napster —before the possibility of any artist getting any distribution without a major label— you needed to get signed if you were going to get your music out beyond your city. Now you don't need a major label to do that. What I see happening now and what i see growing in the next five years, is more real-music. It won't be something primped & preened & presented by some major label as "the next big thing!" It will simply be music. Music that people will listen to. Music that people want to listen to not because "somebody" is telling them "this music rocks!" but because — without influence — someone decided to listen to a song and actually liked it because of the song alone; not because someone told them they had to like it. In the next five years? I expect, I guarantee that the music produced will be more genuine and more true as an art form. We record live at The Containment Unit, in our home grown lab 'Ground Zero', which is run by us. As far as promoting we use the internet. We are out there physically promoting ourselves. The radio. Just being involved. We go about releasing our music by the internet, specifically cdbaby.com. At our events. Ma and pa shops, amoeba even out the trunk of our cars. In 2010 We are going to independently be releasing our english album entitled "Stuck In Traffic". Look out for our music video "Fresh". 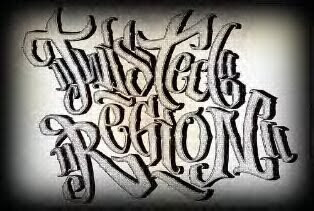 Check us out at http://youtube.com/twistedregion. Don't sleep if you love hip hop add us to your library. 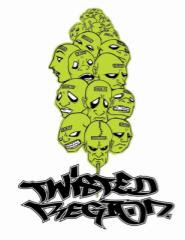 What is the best place for people to find out more about Twisted Region? Cristian Crisis - "Reza Por Mi"
Reychesta - "Me Quieren Arrestar"
Media Futurist, Gerd Leonhard breaks it down in this video which took place at MidemNet 2010. It's a bit long (60 mins.) but the amount of information he covers is outstanding. Exclusive Interview with producer "Dego Brown"
What equipment do you use to produce? I use Fruity Loops and Reason, but it's not what you use it's how you like your music to sound. You can make a hit on any program. Do you think that there is any difference in the way that a producer listens to a track compared to how an MC listens to a track? Yeah I do because they don't hear what the producer hears. The nuances in the sounds. The way the hi hats flow and different things like that. When I make a beat it's like making a meal, you need the right amount of ingredients to make the perfect dish. As a producer and businessman how do you use the internet to your benefit? Well I have my own website now DegoBrown.com so everything I do I promote through there and it has a big effect on the type of people that come through to listen to my music. I always used the internet whether it be Myspace, Facebook or YouTube. It helps me reach the people I would never been able to reach other wise. What are some of the projects you are currently working on? Well I'm from the U.K. so I'm working with U.K. artist's at the moment. I'm working on alot of mixtapes and a couple album from artist's like Ka Koke, Skwilla, Goodfellas, D-Fam, So Solids Face, Stylah, Jaja Soze, P.D.C. , Squeeze for P's, Industreets and I have a mixtape out in Philadelphia, PA in the U.S.A. with some cats called the Mightyonez. What is the best way for artist's to contact you if they are interested in purchasing a track? Don't wait just show love.